Are Psychic Stage Shows Entertainment? All the world is a stage, according to the bard, and all the men and women merely players. Well, in the second decade of the twenty first century the stage is big business. Once the arena of Shakespeare, Alan Bennett and Tennessee Williams, it is not just the play-write who can make a living: the stage show can earn good money for the modern psychic. If people are willing to shell out for pure entertainment that is one thing, if they are shelling out for the promise of distress-mitigation or greater understanding of the unknown then that is quite another. Big claims, especially attracting big money, are bound to attract the skeptical. There is a growing body of people who want a justification for a practice that seems to have passed from helping the bereaved come to terms with their loss to entertainment. If there is something in it, fair enough, but prove it. If possible scientifically. It must be in the interests of all for what seems on the surface to be an unlikely phenomena to justify itself. Especially if it is raking in the big bucks. When the skeptical activist Mark Tilbrook wanted to issue leaflets to people planning to attend psychic shows by Sally Morgan, the UK’s biggest stage show psychic, he was approached by members of Sally’s “team”. After publishing footage of these ‘approaches’ in later shows, he was then further approached by Sally’s “legal team”. 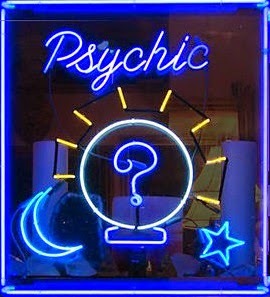 Psychic shows on stage are now something that is big enough to pay for, and indeed require, a legal team. As a result of Tilbrook’s publications Sally Morgan was forced to sack her manager and her tour manager. Especially embarrassing for her as they were her husband and son-in-law respectively. That’s show business. Academia gets involved too. London’s prestigious Goldsmith’s college, founded by Goldsmiths in 1891, staged a Halloween Challenge for two mediums to undergo scientific tests. The tests were designed by Professor Chris French who at the time, October 2012, was Head of the Anomalistic Psychology Research Unit at the college. An interesting degree to have on one’s CV. In 2009 Professor French hosted the James Randi Foundation’s Million Dollar Challenge. One Million dollars! Presumably the Educational Foundation is confident they won’t have to pay up. It is not just the skeptics who are querying the validity of psychic stage shows. The Daily Mail took great delight in reporting the two medium’s failure to pass what they saw as fair tests. Psychics, and the attending skepticism, shifts copy. In the UK the TV popularist Derren Brown has made a name for himself, among many other things, for testing the authenticity of psychic phenomena. Brown tends to concentrate on the stage show aspect of psychics rather than the healing one-to-one. Professor Richard Dawkins, too, likes to wade in on the side of the skeptics, and he comes with a harder line than Brown but both are interested in putting science in front of those who are driven to engage in stage shows, now firmly in the world of entertainment by presentation if not by content, so are open to examination and, if by failing without proper justification, to ridicule. The heartache being the lonely people reaching out for comfort. Why are these shows so popular? Curiosity may well attract some; some may attend for the entertainment value alone. Often, however, the audience is people lost in the aftermath of bereavement. There are many stresses in life and although moving house or losing one’s job are particularly painful none compare with the heartache of bereavement. Is it right to make money from bereavement? Bereavement can make people vulnerable. Vulnerability within the human condition is dangerous for not only can it lead to a position of victimization, it can lead us to unhealthy ways of ameliorating the vulnerability. There are two issues, equally powerful forces. The ache or loss in the first place and then the recognition, even if subliminal, that there is a vulnerability. If low self esteem sees this as a weakness then the hole is too often filled by turning to substances that help us forget. Alcohol, tobacco, drugs may not make the vulnerability go away, but often they help us forget. For some contact with a psychic may provide solace, but for many this is not enough. When human beings find themselves on the painful side of the human condition it is incredibly important that those offering to help are doing it for the right reason and genuinely helping. Not just doing it for the cash. There is already enough snake oil in the world.